It’s a bit unusual that an AdClub past president is nominated for Ad Person of the Year, but Mark Munoz is a bit unusual. For starters, he’s been a passionate advocate for the Phoenix advertising community over the past decade. He’s spent countless hours on things most people turn their noses up at, including running the AdClub, building member consensus, chairing the ADDY’s® TWICE (masochist?) and leading the charge on this year’s ADDY’s judging and event. Bottom line, the Phoenix AdClub and our ad community wouldn’t be where it is today without Mark’s guidance and passion. But that’s not all. Mark was nominated for this award by a number of people in the community: co-workers, community leaders and friends. It’s a testament to his big heart and willingness to serve. In fact, there was a clear consensus of endorsements across the industry for him. It’s clear that Mark epitomizes the best of our community. His creativity, smarts and passion continue to be a strong presence in the market. 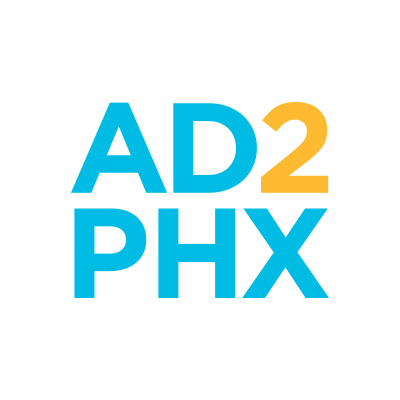 Mark has represented Phoenix as an ADDY® judge across the country and he was named one of the “40 Hispanic Leaders Under 40” from the Hispanic Chamber of Commerce. He’s contributed to Create magazine, a publication recognized throughout the industry and across the country. Mark is fortunate to be successful in his fields of expertise—brand development and graphic design—both of which combine his artistic talents with intellectual problem-solving skills. In 2005, he co-founded RIPE Creative, an award-winning design firm representing a diverse client list that he continues to run today. This year’s high marks go to Mark. Well done. And well deserved.